According to a technology website, everything we think we know about making our smartphone batteries last longer could be wrong. Technology website Gizmodo has debunked some of the myths around battery life, including never charging it to 100%, not letting the battery charge drop below 50%, avoiding wireless charging and staying away from hot countries. Journalist Eric Limer also claims that an average battery lasts between 300 and 500 times it takes to run down the battery. 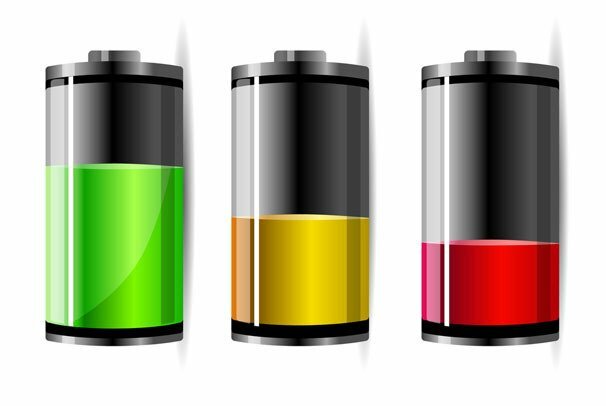 “Battery life” means the time your phone will run before it must be recharged, while “battery lifespan” means the total amount of time your battery will last before it must be replaced. A common myth is that the first time a phone or tablet is plugged into charge, the owner must charge it for at least 72 hours to improve its battery life. This was thought to be necessary to teach rechargeable batteries their full potential, by fully charging them and then letting them run down completely each time – a system called the “memory effect”. The theory was that if batteries aren’t taught this then they will “forget part of their capacity”, yet Eric Limer claims this is wrong. He said: “Battery memory is a real thing, but it applies to nickel-based batteries. “Your trusty sidekick doubtlessly has a lithium-ion battery and it needs to be treated a little differently. Topping off means charging the battery before it reaches empty and is also called topping up. Eric Limer adds that users should try and keep batteries charged more than 50% where possible: “For the most part, going from all the way full to all the way empty won’t help; in fact, it’ll do a little damage if you do it too often. “That said, it’s smart to do one full discharge about once a month for <<calibration>>, but don’t do it all the time. Apple claims phones and tablets should be recalibrated every few months to keep the onscreen battery time and percent display as accurate as possible, and keep the battery operating at “maximum efficiency”. Eric Limer adds that phones also don’t like being all the way full either and advises that a device is taken off charge before it reaches 100%. He also claims leaving it plugged in when it’s fully charged causes degradation, so the optimum charge levels are between 40% and 80%. Apple adds that most lithium-ion polymer batteries use what’s called a fast charge to charge your device to this 80% battery capacity before switching to trickle charging. This gives iPhone and iPads user an idea of how long it will take to get to the optimum 80%. The figures come from site Battery University. According to Battery University phones must also be kept cool to protect the batteries. It claims the recommended storage temperature for most batteries is 15C (59F); the extreme allowable temperature is (–40C) to 50C. Erci Limer adds that at an average temperature of 32F, a lithium-ion battery will lose 6% of its maximum capacity per year. According to semiconductor company Qualcomm, mobile phones can be put in a freezer to cool them down. It has also created a free Android app called Snapdragon BatteryGuru that uses software and hardware to improve battery life. The app works by learning users’ behavior and intelligently adjusting smartphone settings to minimize background activities without disabling smartphone features. Eric Limer also warns against using wireless charging to boost battery life adding: “The inductive, wireless chargers out there today have this nasty habit of generating a fair bit of waste heat. “And that heat will also toast your battery in the process. Your phone works best from 0° to 35°C. Keeping your phone as near room temperature as possible (22° C or 72° F) is ideal. A. Usage: Amount of time the phone has been awake and in use since the last full charge. The phone is awake when you’re on a call, using email, listening to music, browsing the web, or sending and receiving text messages, or during certain background tasks such as auto-checking email. B. Standby: Amount of time the phone has been powered on since its last full charge, including the time the phone has been asleep. Update to the Latest Software: Always make sure your phone has the latest software. Optimize Your Settings: Depending on how they are configured, a few features may decrease your phone battery life. For example, the frequency with which you retrieve email and the number of email accounts you auto-check can both affect battery life. Adjust brightness: Dimming the screen’s brightness extends battery life. In addition, turning on Auto-Brightness allows the screen to adjust its brightness based on current lighting conditions. Turn off push notifications: Instead of automatically syncing accounts, manually sync them instead to save battery life. Minimize use of location services: Applications that actively use location and GPS services such as Maps reduce battery life. Use Airplane Mode or Flight Mode in low- or no-coverage areas: Because your phone always tries to maintain a connection with the network, it may use more power in low- or no-coverage areas. Lock Your phone: Lock your phone when you’re not using it. You will be able to receive calls and text messages while it is locked, but nothing happens if you touch the screen. For proper maintenance of a lithium-based battery, it’s important to keep the electrons in it moving occasionally. Be sure to go through at least one charge cycle per month (charging the battery to 100% and then completely running it down).